Step 4: Once you've customized your button, click on "Copy to Clipboard"
Questions about customizing your button? Learn how here. This will vary among website builders, but any spot where HTML or CSS is accepted, this code should populate your Embeddable Donation Form. 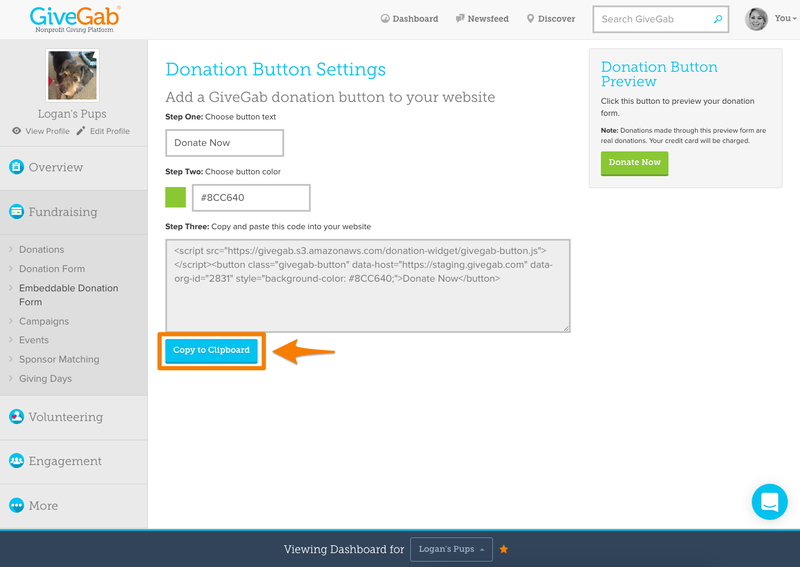 If you have an existing donate button, this code for the Embeddable Donation Form can replace that one. 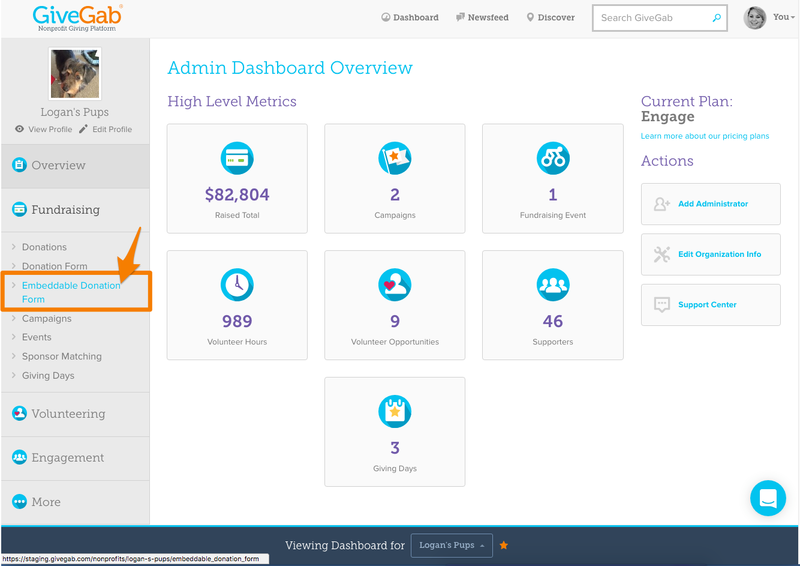 If you have a website administrator, they'll be the best ones to help you add this to your website. If you're have any trouble adding the Embeddable Donation Form, please let us know!